Sensational Duel at the first professional boxing competition in the Republic of Moldova. Uzbek Ravskanbek Umurzakov was the great hero of the "Professional Boxing Show" tournament at the Polivalent Hall from the Capital, where he won the WBA Asia lightweight belt. Umurzakov defeated Philippine Roberto Gonzales with a knockout in the second round. "He's a good boy and I'm a good boxer, he has 28 wins, it's not easy, it's the 8th victory for me and I got the belt, it's just the beginning, I'll be a world champion", said Ravsabek Umurzakov, boxer from Uzbekistan. Octavian Gratii won the title of Moldova International champion in the super-light category. 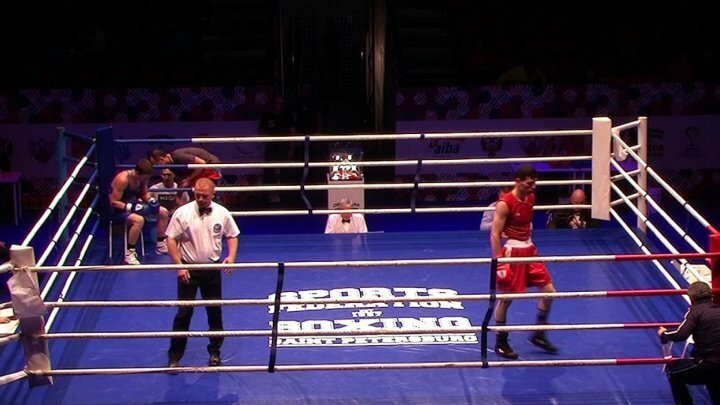 Our compatriot won with a technical knockout in the third round the Georgian Boxer Kaha Avetisani. "I'm glad that friends and close people were close together. That was the most important", said Octavian Gretii. Another Moldovan pugilist, Vladislav Gumeniuc, conquered the champion belt of the Republic of Moldova International in the supermodel category. He defeated the Georgian Ghiorghi Kandelaki. "I was dragging him to me, but he did not throw himself in. He felt he had experience and went through it," Gumeniuc said. A spectacular victory was obtained by Moldovan Igor Mosneaguta. He knocked out Lithuanian Karolis Buslys in the third round. "Honestly, I did not expect such a fight, but I am very glad that it took place", said the Moldovan fighter. Maxim Bolotov, known for his evolution in kickboxing galleries, debuted with a professional boxing victory. He scored points in front of Latvian Igors Vasiljevs. "It's great, I liked it, I had a hard opponent, but it's my first boxing match, we will continue to work", Bolotov said. In total, 13 fights were played at the "Professional Boxing Show" tournament. The competition was organized by the IBC Promotion, the National Boxing Federation and the Ministry of Education, Culture and Research. The next tournament is scheduled for autumn.